Happy New Year! And welcome to the first “Out of the Box” of 2018. Strap in as it is a long one. The first week in January is not a time to quietly slip into things because award season is well and truly here. 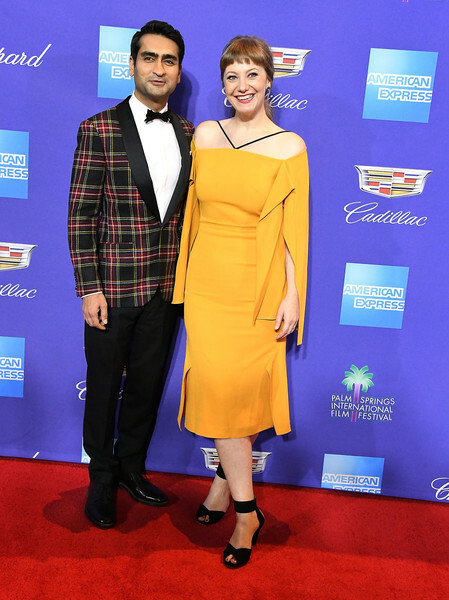 The Golden Globes are this weekend, but before that we have sartorial highs from the NYFCC Awards and the Palm Springs International Film Festival Film Awards Gala, among other shindigs. It is also Winter TCA! So much TV news to digest. 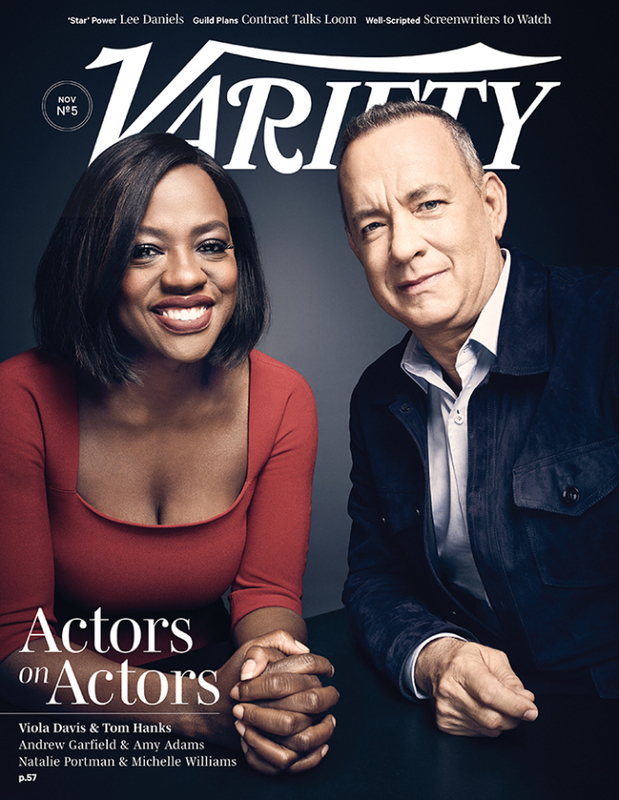 Plus new magazines are hitting newsstands. 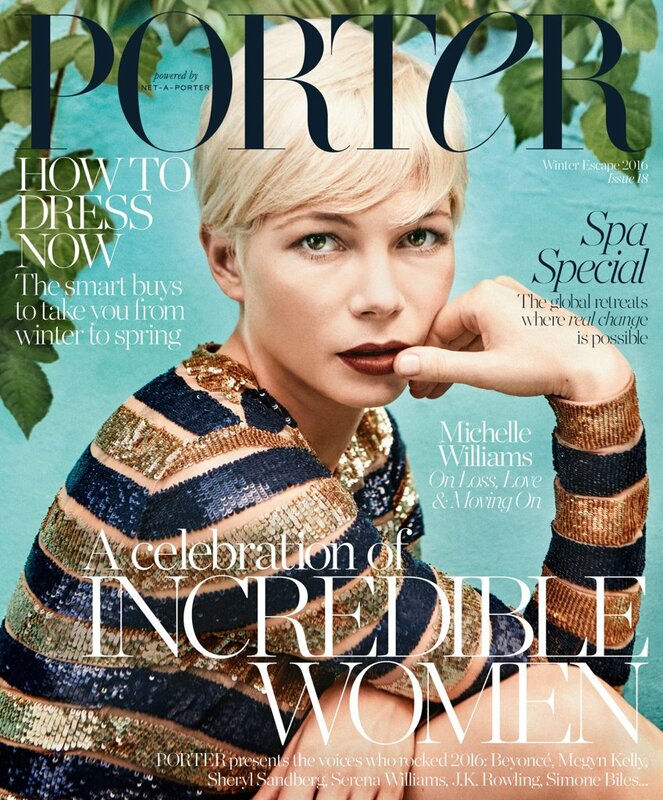 For a deep dive into the super candid Michelle Williams conversation with Harper’s Bazaar head here. But first watch Tiffany Haddish give an amazing 17-minute speech at the NYFCC Awards as filmed/uploaded by Buzzfeed’s Alison Willmore. Golden Globes, this is what you are missing out on. 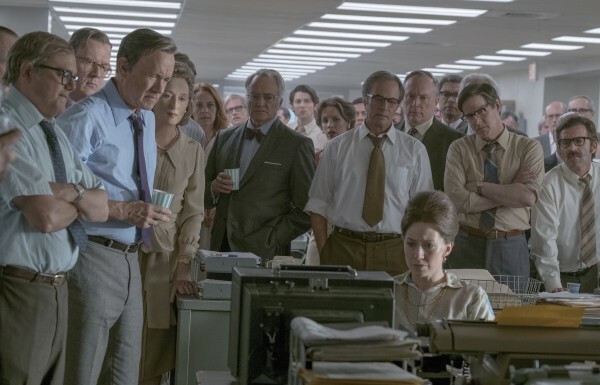 Oscar voters please consider your options carefully. Haddish’s Girls Trip performance deserves celebrating. The Armie/Timothée interesting outfit tour continues. And once again they are playing off each other in much the same way that Elio and Oliver do in Call Me By Your Name; in one scene Elio wears horizontal stripes while Oliver is in vertical. Complimentary, but also at odds. At the NYFCC Awards Chalamet opts for pinstripes while Hammer goes for purple check Etro. 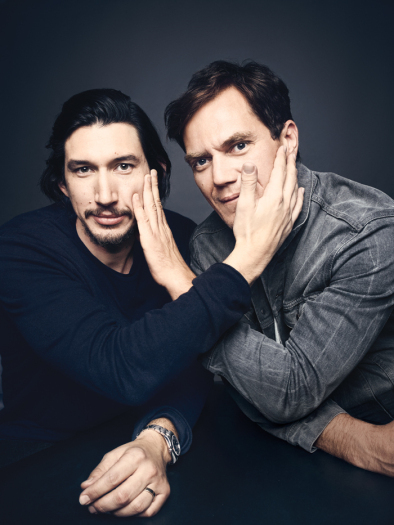 Looking forward to more from this pair throughout this awards cycle. Get Out’s Betty Gabriel leans into a ’80s rom-com vibe in pink ombré Pamella Roland. Let’s also take this moment to rage over how dumb the SAG Awards rules are when it comes to the ensemble category. So, so dumb. As part of the Palm Springs International Film Festival, Jessica Chastain attended Variety’s Creative Impact Awards and 10 Directors to Watch, in day event Givenchy dress perfection. Plus it has pockets. I saw Molly’s Game this week and whoa was this is a good reminder of the bandage dress and super cleavy trends of the mid to late ’00s. And there those bandage dresses should stay. Chastain is incredible in this film, but the last act is a mess. As I mentioned on Twitter, when there is good Sorkin there comes bad Sorkin. And that bench therapy scene is definitely the latter. I know I should hate the cropped palazzo pants aspect and beige strappy sandals, but I love the overall bold pink/red combo. The scarlet bustier is fabulous and Wonder Woman adjacent. Gal Gadot looks effortlessly cool in this Oscar da la Renta ensemble that would threaten to swap others. A whole lot of swoon at the Palm Springs International Film Festival Awards from both Sebastian Stan and Allison Janney. Janney is crushing it in green Lela Rose. How to do sophisticated and comfy elegance the Jessica Paré way. Megan Draper would definitely approve. Kumail Nanjiani and Emily V. Gordon featured on our Best of 2017 “Out of the Box” rundown and they are already kicking the new year off in style. Mustard plus a cape element makes this a dream dress and I’m all for a plaid dinner jacket. Going for gold in Dolce & Gabbana. Tick. Another strong look for Armie Hammer courtesy of Ilaria Urbinati. At the Palm Springs after party Saoirse Ronan in striking pink and gold Gucci caught up with her Lady Bird co-star, Timothée Chalamet. This photo is delightful. An early contender for best airport style. The only thing I would change about Emilia Clarke’s outfit is those shoes. Switch them out for the Adidas sneakers would really make this look. Coveting this blazer hard. 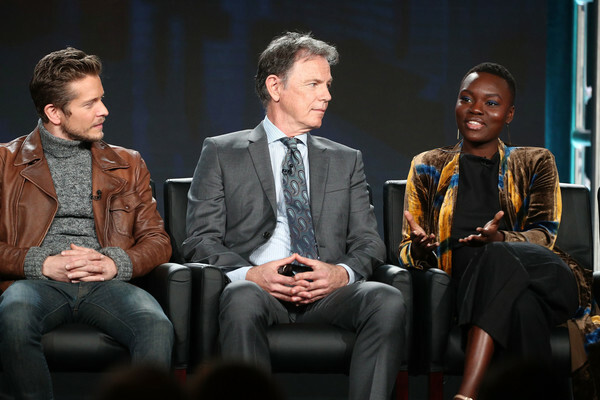 Fox kicked off Winter 2018 TCA yesterday including a panel from new show 9-1-1. 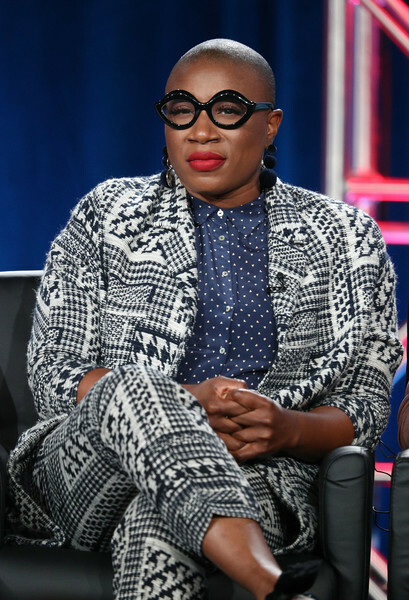 Aisha Hinds is giving great pattern clashing and bold lipstick. And people rarely work a pair of specs as fun as these. The thing to remember about TCA is to pick an outfit that looks great sitting down and Hinds does just this. Matt Czuchry is back on TV in The Resident and now he has facial hair! Because he is a doctor with no time to shave. Also a dream chunky knit sweater and leather coat is giving me strong feelings. Bruce Greenwood is working those silver fox vibes, but is Shaunette Renée Wilson in beautiful velvet that is really drawing my sartorial drooling. Not going to get bored of seeing these two. Nope. Never. This is great cover; simple and striking. 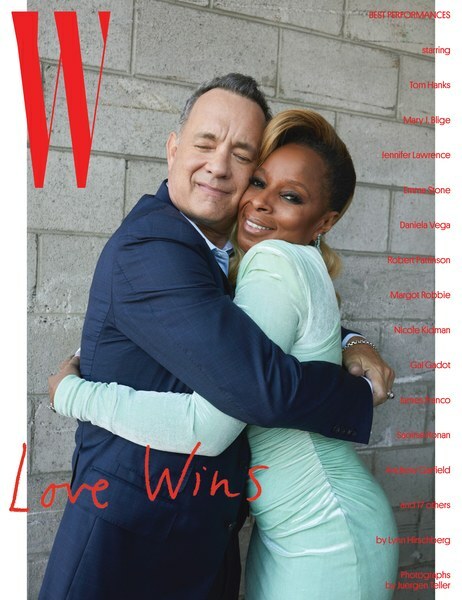 W’s Best Performers of the Year issue is always super fun. 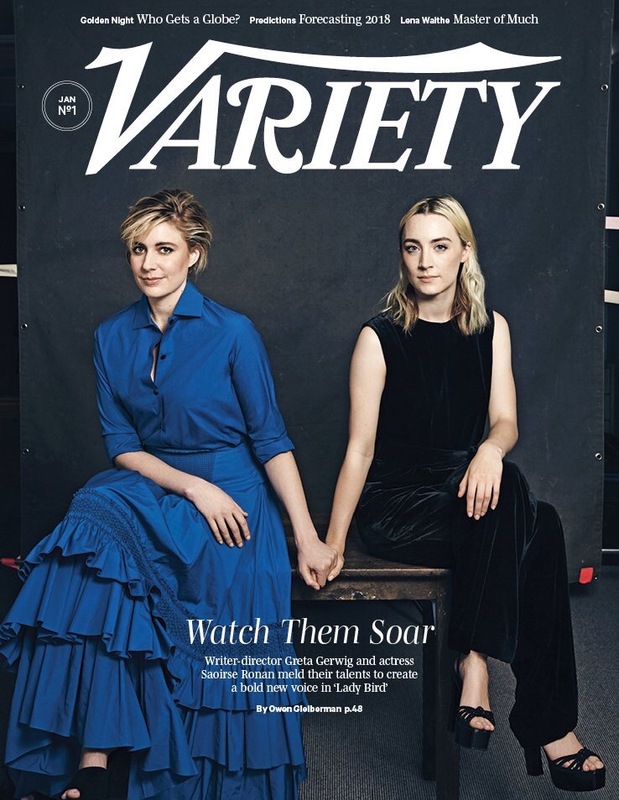 This cover has me writing a script for an ’80s set movie starring Saoirse Ronan and Andrew Garfield, where they play rich siblings who start off as assholes but then have an important lesson to learn. There will be a dance scene. This also might be the first time someone has appeared in three separate shots on “Out of the Box.” Warming my soul and causing me to write a rom-com starring Tom Hanks and Mary J. Blige, in a second chance at love scenario. Glamour needs to stop with this coverline design. It is too much and not in a good way. 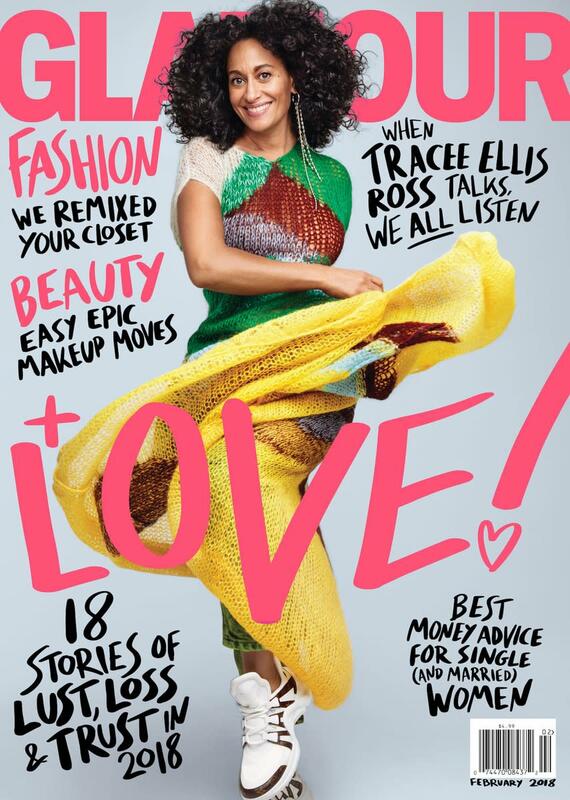 What they don’t need to stop with is cover images like this one and I love everything about this shot of Tracee Ellis Ross.